Hydraulic systems, or circuits, utilize high-pressure fluid to actuate different machines. These circuits contain not only high pressure, but also heat, vibration and the constant movement when the machine is working. The constant wear and stress on the hydraulic circuit can lead to fatigue and eventual failure over time. The first sign of hydraulic system failure will be a drop in available pressure and leaks. Fixing leaks usually involves repairing one or more of three components: seals, fittings and lines (both hoses and hard steel tubing). Seals on hydraulic circuits secure areas where metal-to-metal parts connect and interact. Seals are usually various sized O-rings, but can also be high-pressure washers and rubber with metal reinforcement bands. When replacing a damaged seal, always use the same type specified by the manufacturer. Whether it’s an O-ring, washer or band, use the same size, diameter and material for replacement. Trying to make do quickly by stretching a seal too small for the junction or stuffing in a seal that is too large will only lead to additional quick failures. Also, don’t use a hard nylon seal when a soft neoprene material is required. Varying materials are often not rated to handle specific pressures or heat a reaction within the hydraulic fluid’s chemistry. Fitting are threaded or snap-lock attachments allowing connections between different hydraulic circuit components. Made of stainless steel, fittings have various pressure ratings that are usually higher than the components being connected. This allows for fail-safe operation at a possible weak point in the circuit. The only repair on a fitting is replacing any failed seals. Otherwise, a failed fitting must be replaced. As fittings are attached with swage pressure (connecting fittings with compression), the components attached to the fitting (hose or tube) are distorted. Replacing a fitting usually means also replacing the connected piece. 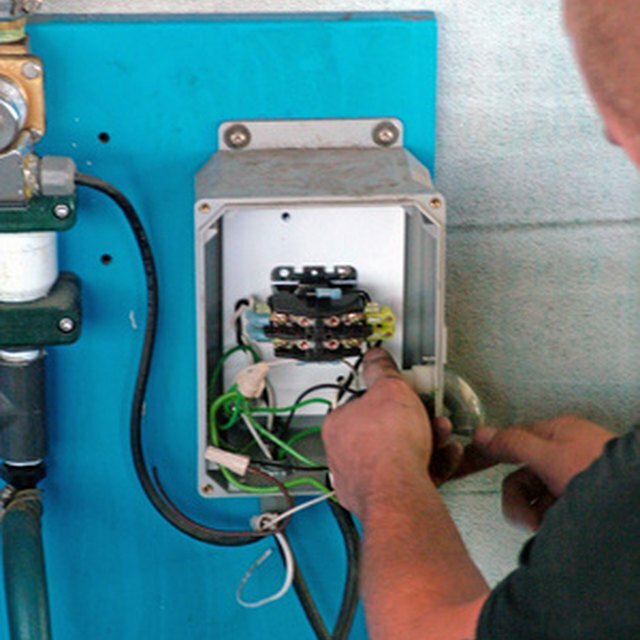 Hydraulic circuit lines carry the high-pressure fluid from the pump to the actuated machine and back to the pump. Lines fail over time because of fatigue, chafing or thinning from the constant flow of hot pressurized fluid. Although in a pinch line damage can be cut off and the fitting reattached, usually a failed line means replacement. Quick fixes will only delay the line’s inevitable complete. Just as with seals and fitting, always replace lines with materials with the same specifications. Of course, as long as the fittings attach it is possible (but not cost-efficient) to install a line that rated higher than a particular circuit’s specifications. But never install a line that handles less pressure. Although the assumption “it will hold just long enough” sounds practical, in practice the lines’ failure can be immediate.